Dear Readers, we are presenting Computer Quiz for upcoming Bank Exams, IBPS Bank Exams,India Post Payment Bank,RBI Assistant. Computer section play important role in scoring. Try to solve these computer questions. If any doubt ask in comment section. We will provide more questions in upcoming posts. 1). 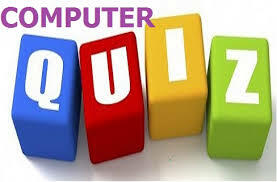 Which of the following is a programming language? 2). What is the meaning of OSI, in terms of computers ? 3). What is the keyboard short key to open old work book? 5). Which type of storage device is a BIOS ? 6). Which is the shortcut key to invoke spell checker in MS Access?